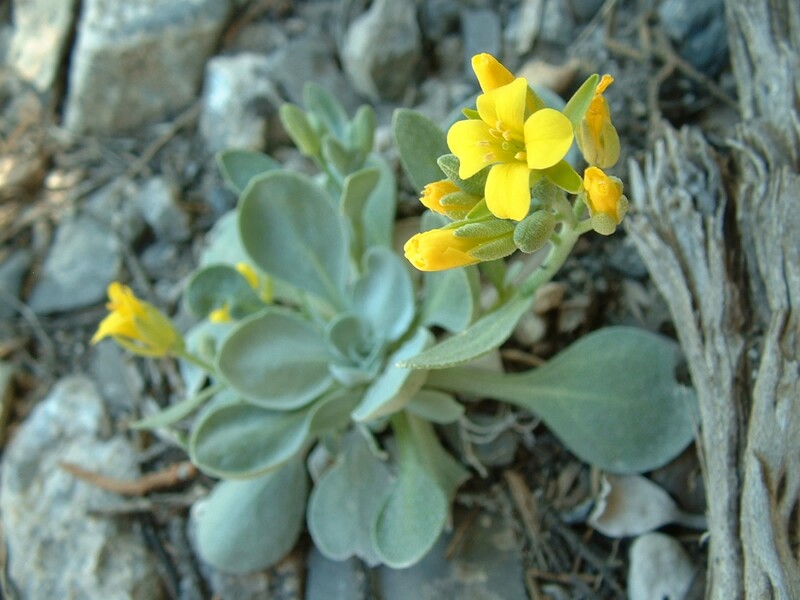 The Physaria genus contains the twinpod category of bladderpods. I never noticed these until 2007, and since then I’ve kept my eye out for them, and have come to appreciate them. 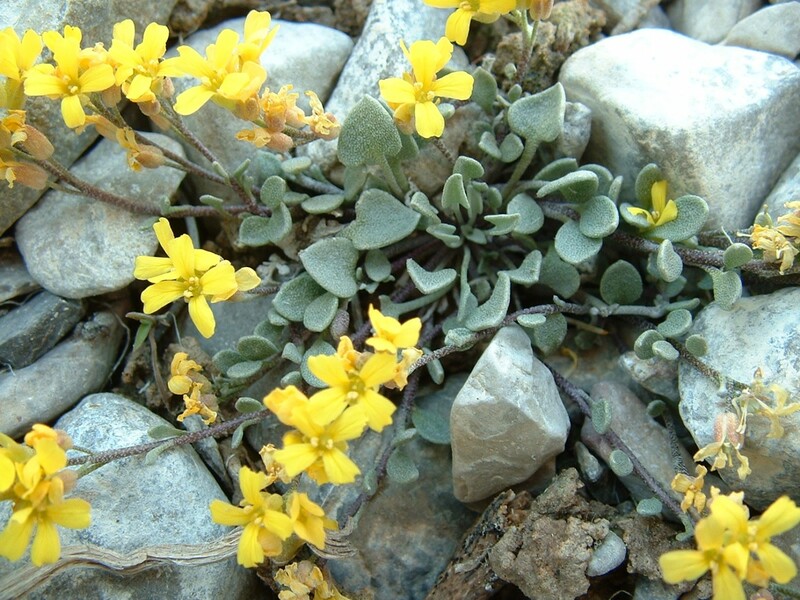 I did not include photos of Physaria in my previous posts, because I saved photos starting in 2007 for one post devoted to this genus. 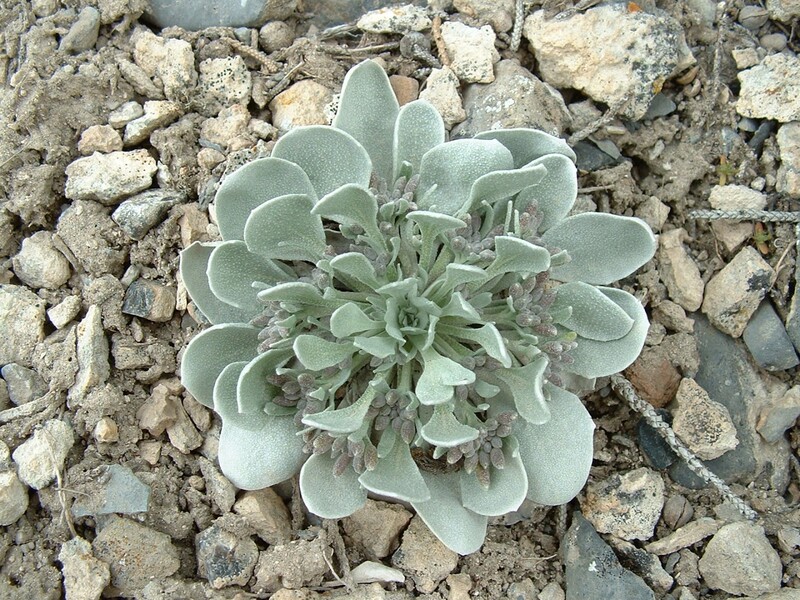 I anticipate upcoming plants posts here with previously held-back photos covering the genera Tetradymia (horsebrushes) and Asclepias (milkweeds). Might be awhile until I get to those. 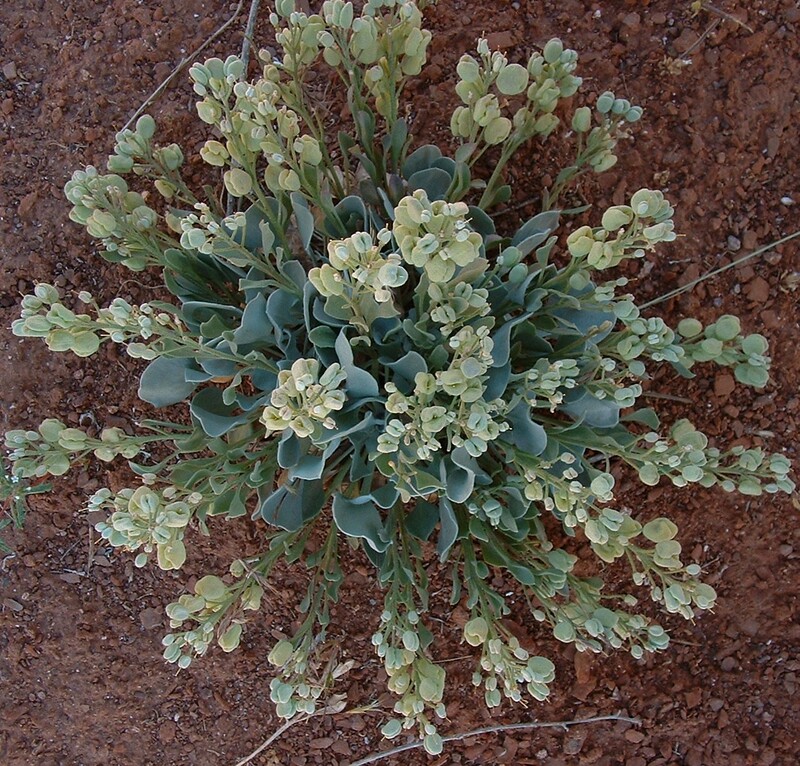 This is what I was looking at the first time I noticed some of these plants and wondered what they were. 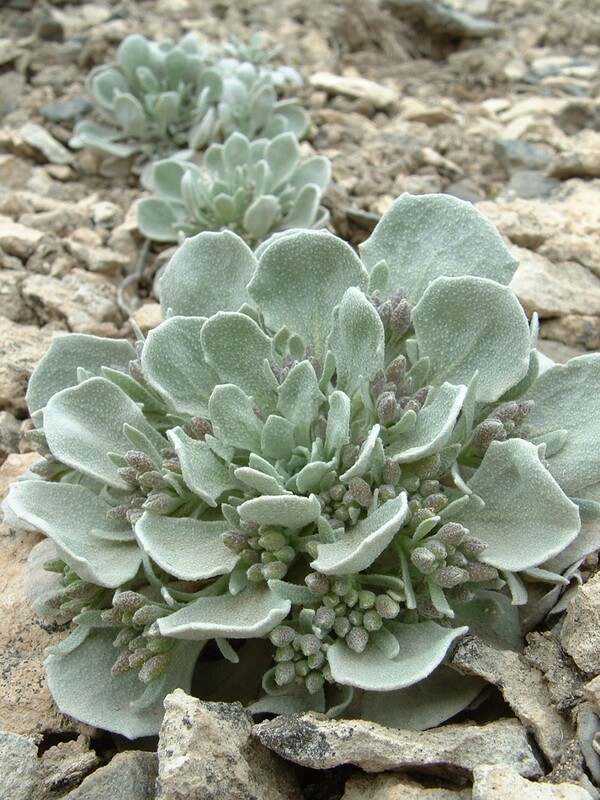 It took me until 2007 to notice a widespread native plant with a form as memorable as this. Guess I had not paid attention as thoroughly as I thought, when I had been walking in this species’ habitat before. 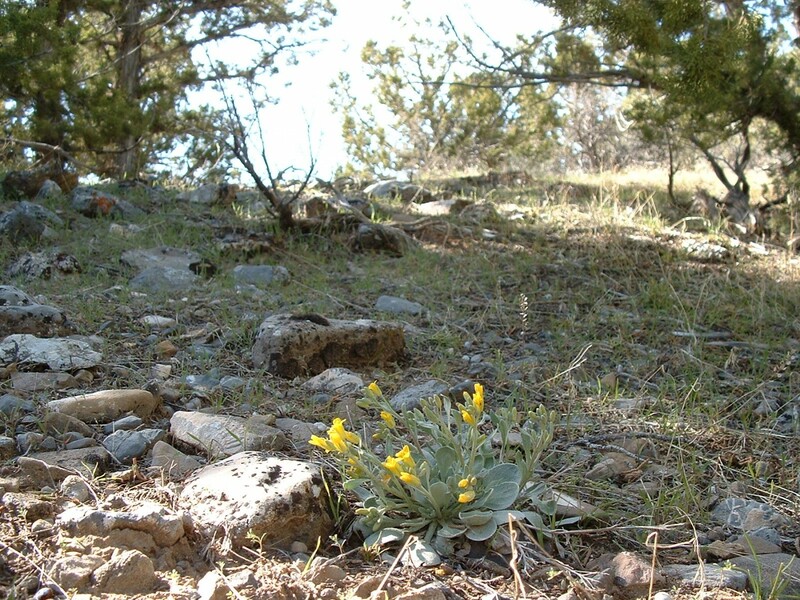 A few weeks later in 2007, I came across a population of these on a steep south-facing slope in the Wasatch Mtns that displayed the most bounteous seed pods I’ve seen yet. 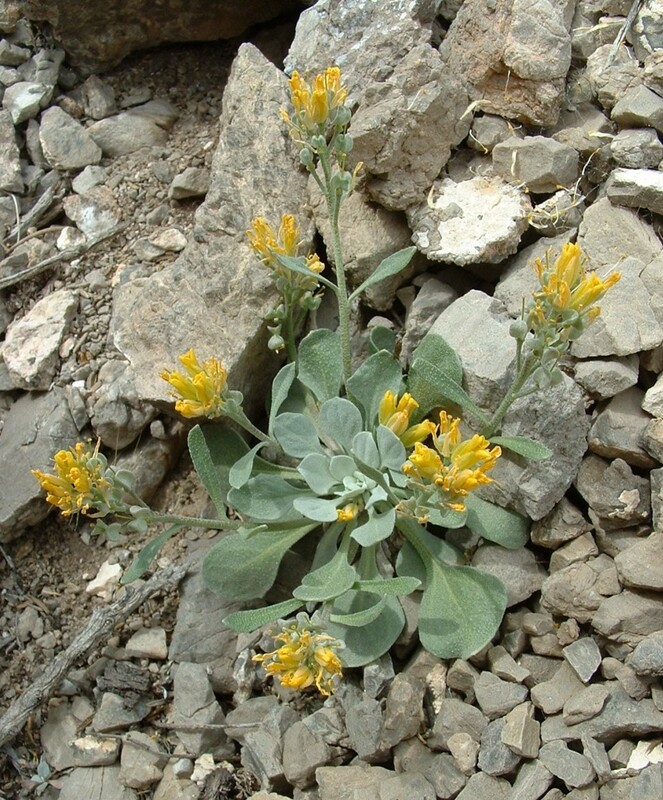 In southeastern Utah in redrock desert, the species shifts from chambersii to acutifolia, although to me the two species are quite similar. That’s a Penstemon eatonii stalk reaching up there behind the Physaria. 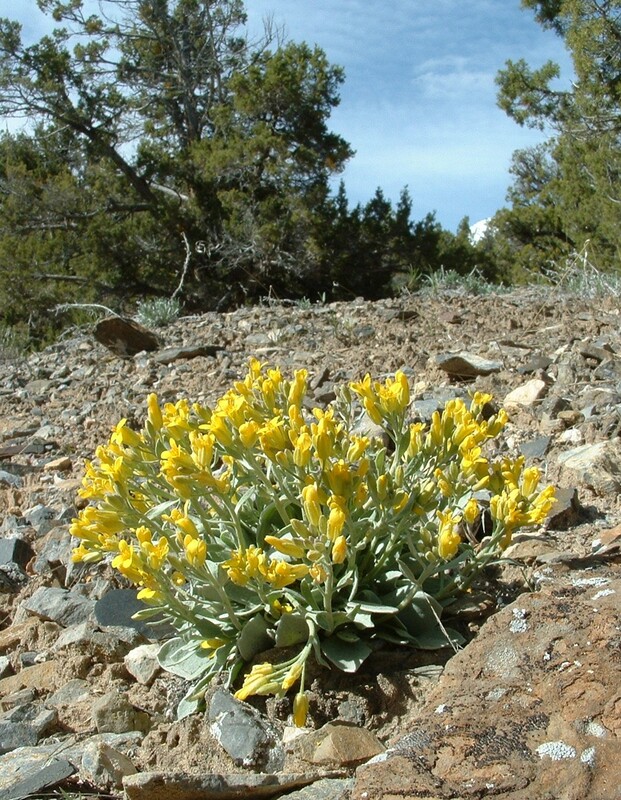 Finally I came across some in flower, here in eastern Nevada. 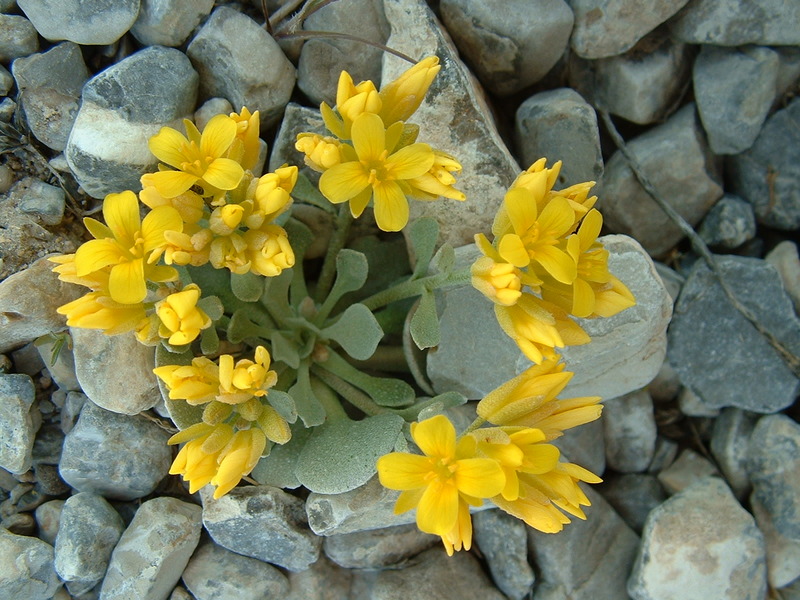 In the Great Basin, flowering occurs from mid April through early July. 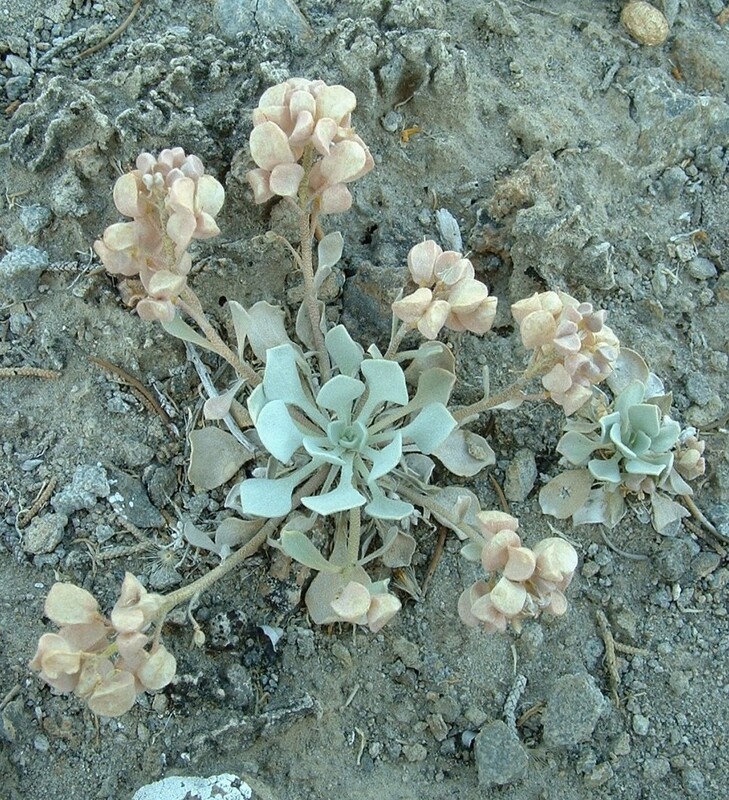 Above is an odd one I found growing in a canyon’s main, dry wash. I believe it must be a different species, and need to figure that out. 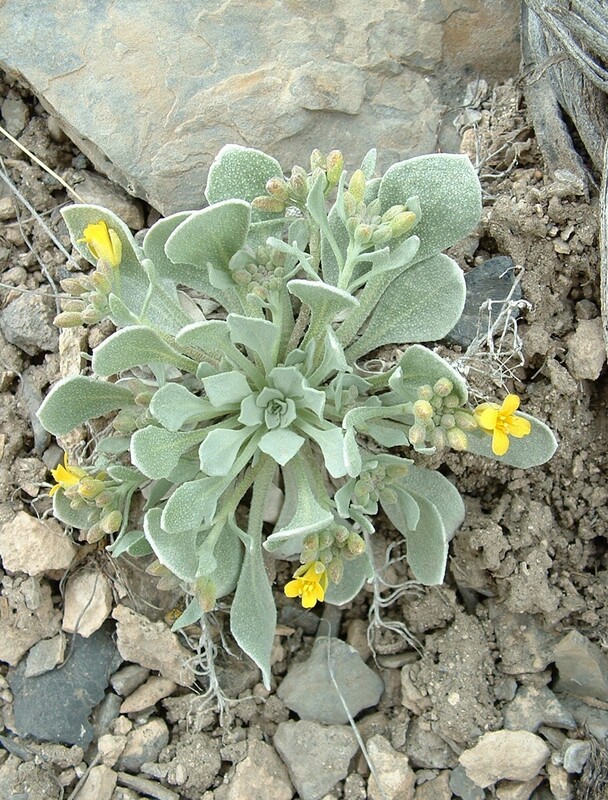 The petal shape and leaf shape are not those of P. chambersii. 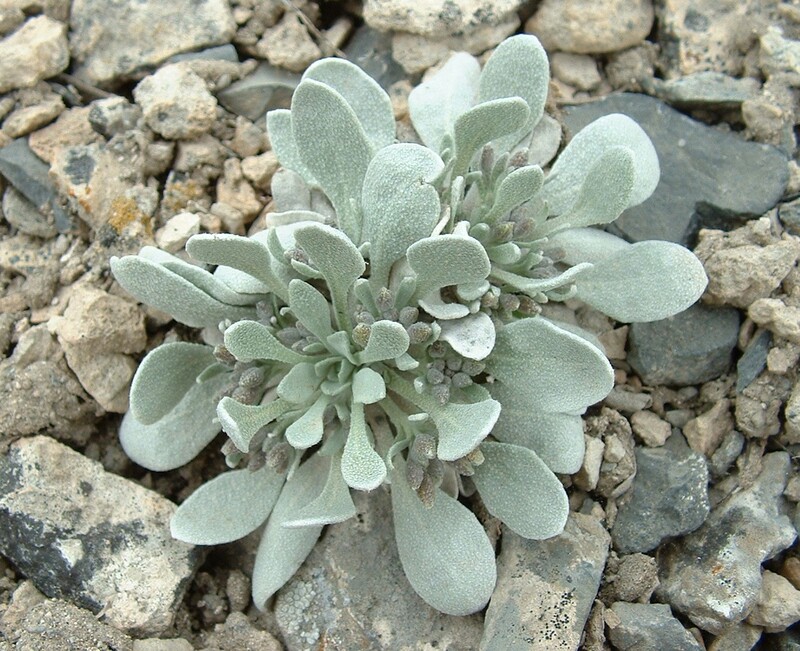 I only found one of these plants. 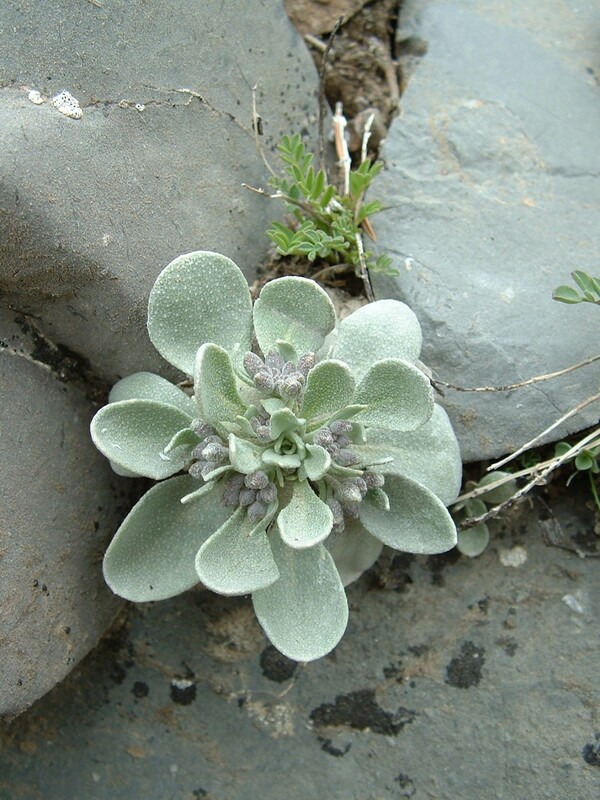 It may belong to the related genus Lesquerella, which apparently has been moved back out from within the genus Physaria where some have considered Lesquerella’s species to be. Photos online of some nearby occurring Lesquerella species show me this is certainly not L. kingii, intermedia or ludoviciana. Perhaps it is the seldom-photographed L. goodrichii? Stay tuned. 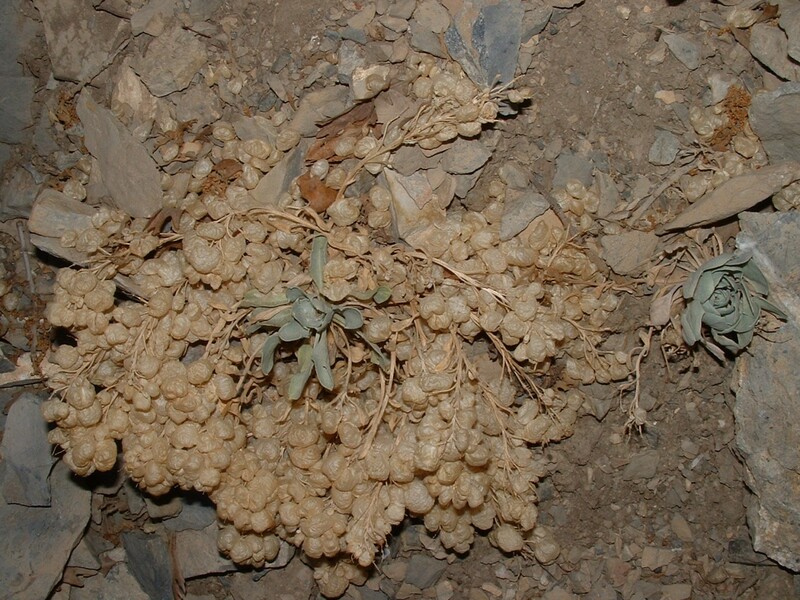 However, close by in the same canyon I did find another that looked like classic P. chambersii. 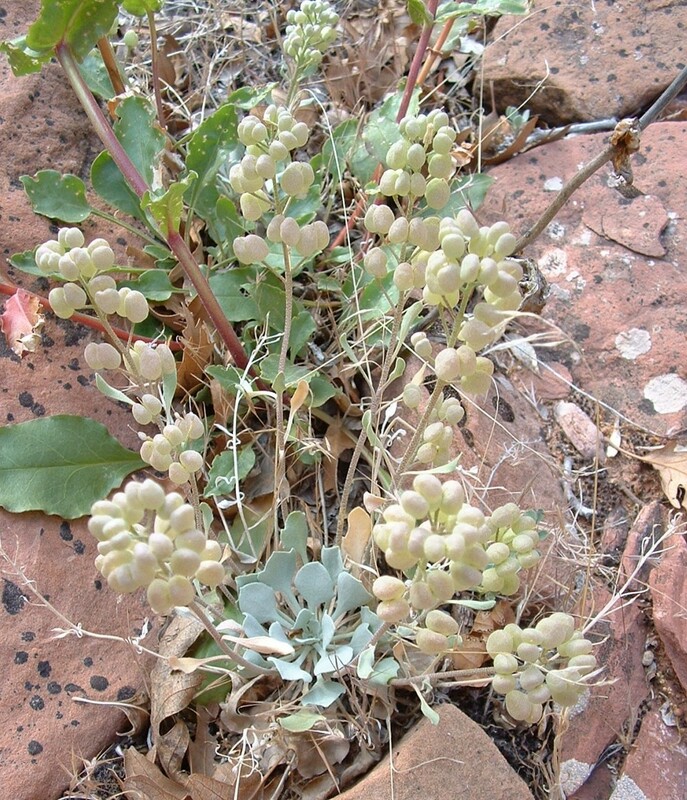 By late May, the P. acutifolia in southeastern Utah is developing seedpods. This was a late-flowering plant I found growing in part shade. 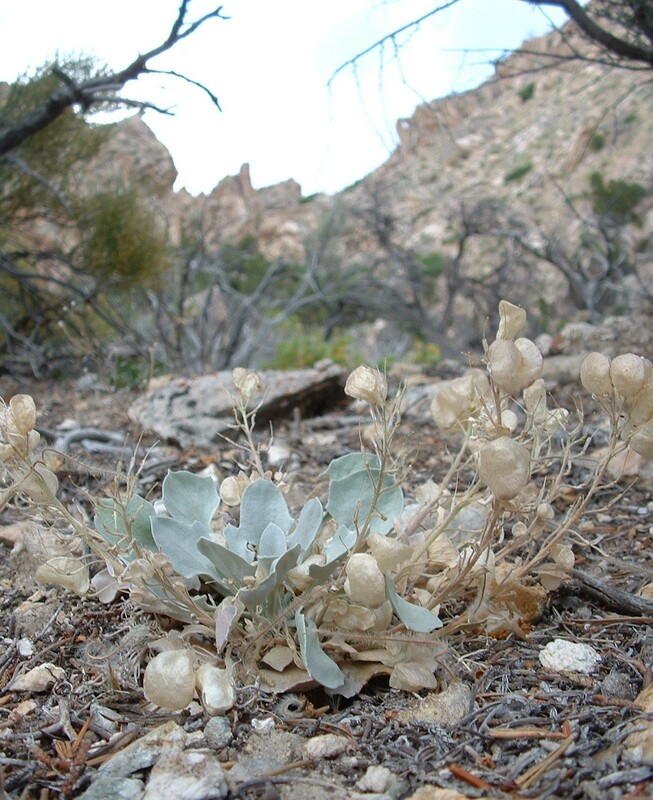 This plant on a SE-facing slope in the Minerals had one or two probably-fertile seeds in each pod.